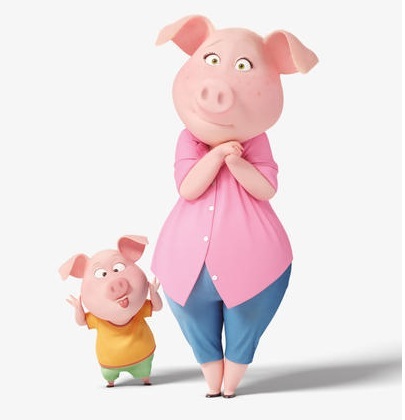 SING–Movie Review–A nice solid family outing. I am a dad of a five year old. These are the types of movies that I see. 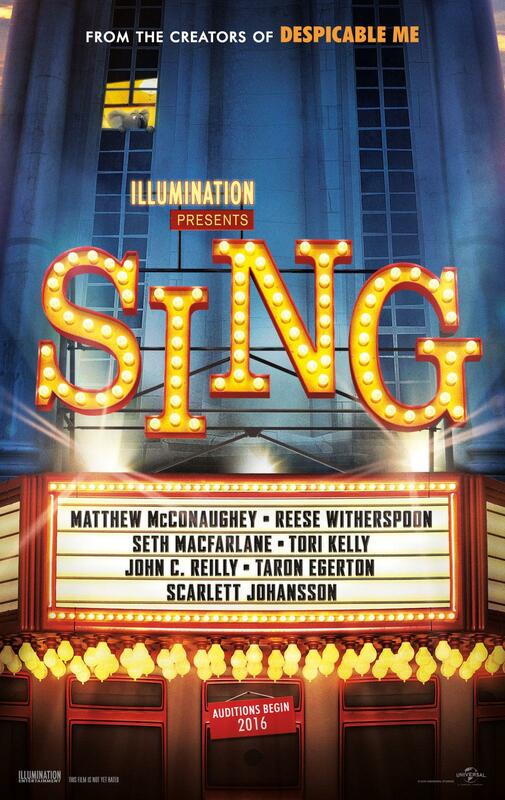 And SING is a good one. Buster Moon is a Koala Bear is wanna-be successful theater producer. We are introduced to him when he is six years and his parents take him to the theater. He falls in love with theater, and his six-year-old mind decides he doesn’t want to be an astronaut anymore, he wants to produce theater. And we are with him. Fast forward a couple of decades and we find that Buster is a failed theater producer. So much so, that the bank is about to foreclose on his property. 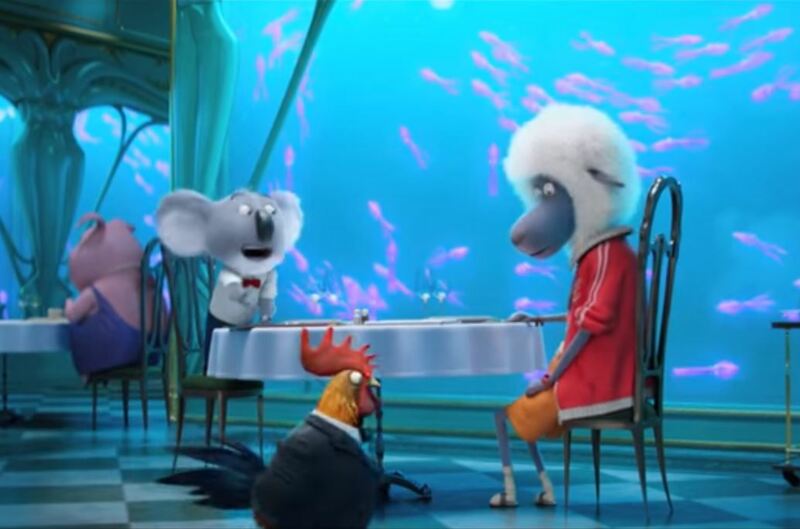 He begs for money from his best-friend and business partner, a sheep named Eddie Noodleman, whose parents are wealthy. But this time Eddie, turns him down. Buster’s recent plays have flopped. Flopped. Buster’s Big Idea to get people back into the theater is to run a singing competition. Eddie quickly points out the obvious, that nobody wants to see a singing competition made up of only locals. In a silly and stupid plot point, Buster’s secretary, Ms. Crawly an aging iguana, accidently turns the $1,000 prize into a $100,000 with a typo, and then within 30 seconds thousands of the flyers are blown out into the town, where the townsfolk begin to read about the $100,000 prize. Consequently, more people show up to Buster’s talent audition than he expected. From here we are connected with several enjoyable characters. Rosita, a pig, who is mother to 25 piglets. Her dream of being a famous singer abandoned to raise a family. 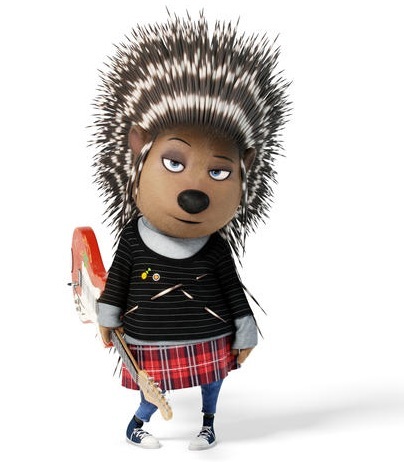 Ash, a teenage punk rocker who is forced to break-up with her boyfriend, when she is allowed in the competition and he is not. 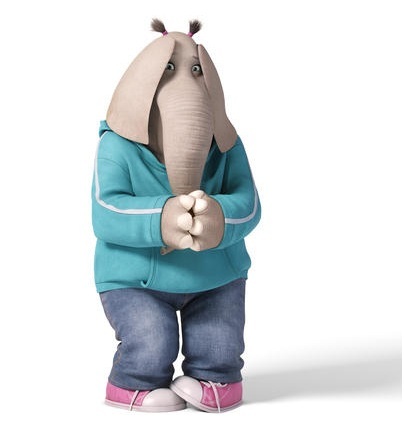 Meena, a teenage elephant, who has a gifted voice, but is crippled by debilitating stage fright. 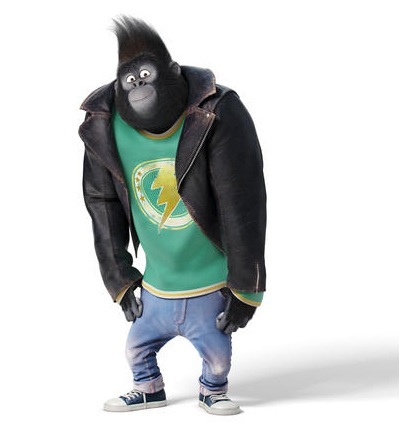 Johnny, a teenage gorilla, whose family is a gang of bank robbers. 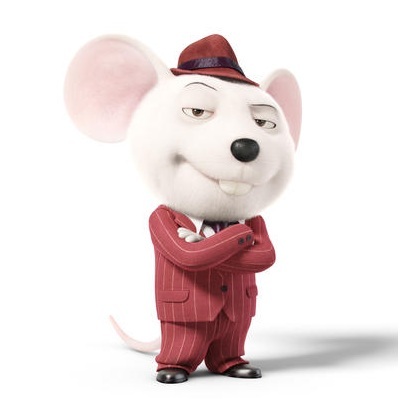 Mike, a mouse, is the Frank Sinatra clone. He gets into trouble with women and the mob. 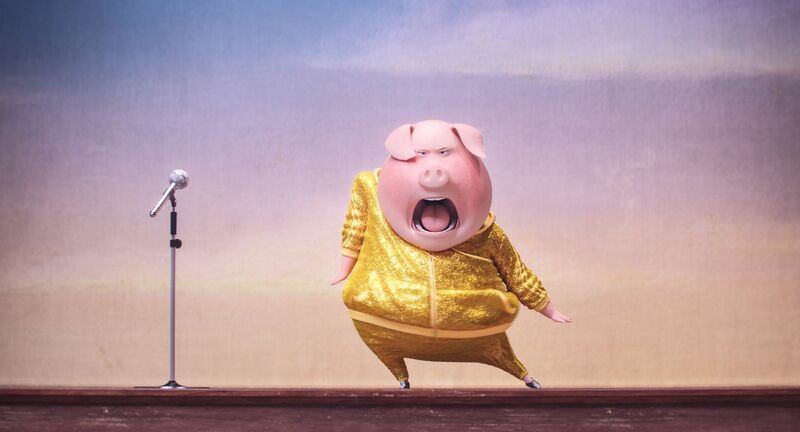 Gunter, a German-accent pig, is Rosita’s dance partner. The story continues as Buster tries to get the singing competition off the ground. The movie continues through obstacle after obstacle, each more over the top than the next. Until finally the theater itself is destroyed. Buster hits his low, and goes into hiding. But those that were going to sing in the competition pull a singing performance off in the end. The movie is funny. But there is nothing groundbreaking here. Plot points are obvious and silly. But we can relate to characters that have given up on their dreams, but find hope and joy when the chance to finally live those dreams happens. And for Generation Xer parents and Baby Boomer Grandparents there are some great musical numbers here. The writers knew who would be bringing the children to see this. And my five-year-old got up to dance during the movie, which makes me recommend the movie. Several of the images came from here. 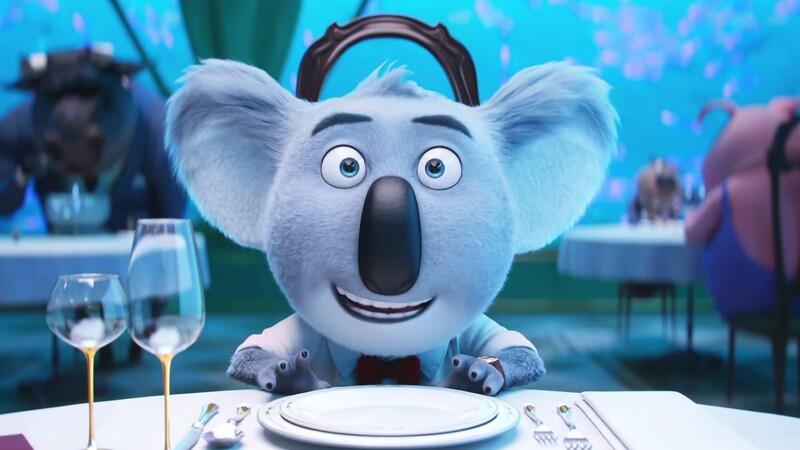 This entry was posted in Movies, Recommendations and tagged movie reviews, Sing on February 5, 2017 by mctiller.